We are going to look at a few passages of Scriptures concerning the Kingdom of God. 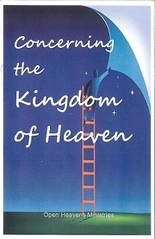 There are many various concepts of the Kingdom. For a little while let's lay aside previous notions and see what we can learn from the writings of Divine scripture.